A trial that began this week in Belgium is putting a spotlight on a shocking series of alleged murders by a Catholic deacon. A Catholic deacon accused of killing at least 10 people—including his own mother—has gone on trial in Belgium. 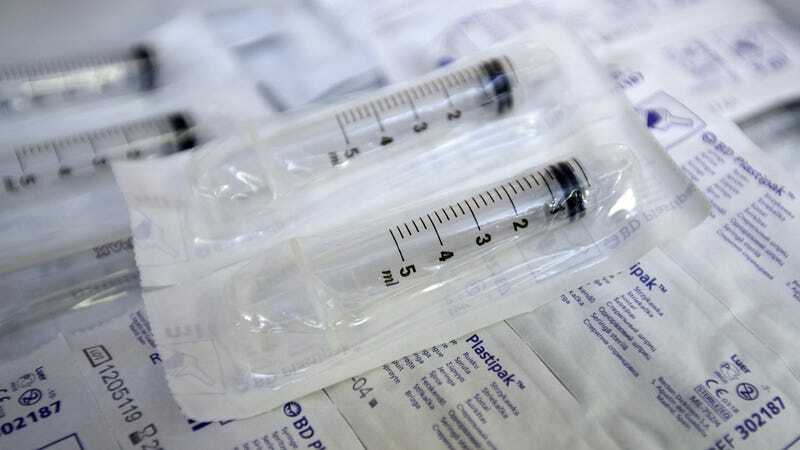 Former nurse Ivo Poppe is suspected of killing his victims by injecting air into their blood, causing a fatal embolism. The Belgian media not being one for subtlety, local outlets have taken to calling Poppe the “Deacon of Death,” which is honestly one of the least sensational details surrounding the case. For starters, the 61-year-old Poppe was arrested in 2014 after he is alleged to have openly confessed to his psychologist that he had actively euthanized “dozens of people.” The deaths occurred throughout his tenure at a health clinic in Melen, where he initially worked as a nurse and eventually became an ordained pastor. Poppe is also alleged to have also killed his own relatives by air injection, including two of his great uncles, his father-in-law, and his 89-year-old mother in 2011. Poppe, according to investigators, confessed to some of the murders when he was first arrested, claiming that he was compassionately ending the lives of terminally ill people. But he has since denied the charges. Although he’s only being tried for 10 murders, prosecutors intend to claim that the real count might be as high as 50, since Poppe is said to have written the names of his victims in a diary he kept. That tally, if accurate, would make Poppe the most prolific serial killer ever charged in Belgium. One of the runners-up, morbidly enough, was also a clergyman named András Pándy, who was thought to have killed at least 14 people throughout the 1980s and 1990s. Poppe’s one-time defense—that he was carrying on compassionate euthanasia—seems specious, given that Belgium probably has the most permissive assisted dying law in the world. Not only are terminal patients allowed to seek approval, but so are people with chronic depression—all that’s required is evidence that a person is dealing with an “incurable” condition, mental or physical, that causes “constant and unbearable” suffering. Poppe’s mother is said to have suffered from depression, but prosecutors intend to offer testimony from her doctors suggesting that she wasn’t seeking to die. Infamously, Michigan doctor and euthanasia advocate Jack Kevorkian was convicted of second-degree murder in 1999 for helping one of his patients die, which was the fourth attempt by authorities to prosecute him. Kevorkian’s outspoken crusade is thought to have helped popularize the euthanasia movement in the states. Nowadays, five states and Washington D.C. allow a highly regulated form of assisted dying. Meanwhile, in Germany, a 41-year-old nurse named Niels Högel is set to face his third murder trial this week, reports NPR. After initially being convicted for the murder of two patients and the attempted murder of two others via lethal injection, Högel is alleged to have killed another 97 patients. Unlike Poppe, though, Högel is said to committed the murders “out of boredom” and a desire to puff up his reputation at work. Poppe’s trial is expected to go on for the next two weeks.